Preheat oven to 400°F. Place cubed butternut squash on baking sheet, drizzle 1 teaspoon olive oil over the top. Add whole garlic cloves, turmeric, and salt and pepper. Toss to evenly coat the butternut squash with oil and spices. 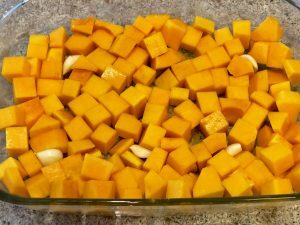 Spread butternut cubes evenly around pan and roast for 30-40 minutes until squash is fork tender. While the squash is roasting, heat 1 tsp olive oil in a small skillet over medium-high heat. Add walnuts and cook, stirring occasionally, until they are just golden brown, 2–3 minutes. Set aside. Prepare the kale by slicing it into thin strips. Add the 2 tablespoons lemon juice and a pinch of sea salt and massage into kale to wilt. Set aside. Note: if you are prepping the day ahead, only add the lemon and massage the kale the day it’s served. When the squash and garlic are done roasting, remove the garlic pieces and add them to a medium bowl or food processor. Add the remaining olive oil, lemon juice, apple cider vinegar, maple syrup, Dijon mustard, and shallot; whisk or pulse until smooth.. In a large mixing bowl, combine kale with about 3/4 of the dressing, and toss until kale is lightly coated. Add more dressing to taste, and reserve any leftover for another use. Add roasted squash and pomegranate seeds to the kale; toss to combine. Transfer to a serving bowl, and top with toasted walnuts. 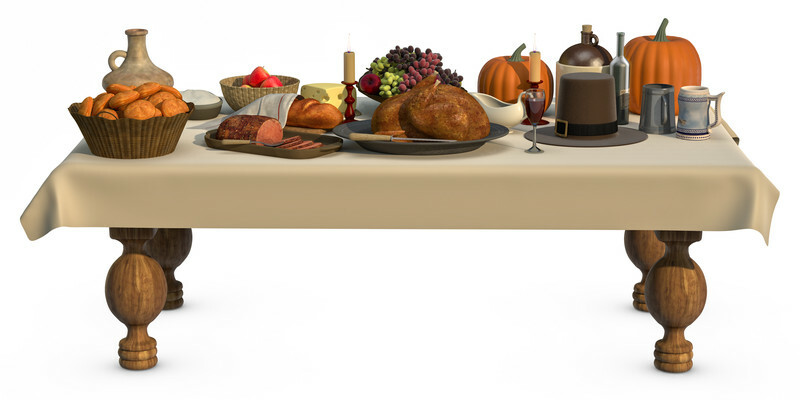 Per Serving: 200 calories, 11 g total fat (1.5 g saturated fat), 23 g carbohydrate, 5 g protein, 4 g fiber, 105 mg sodium.